As the daylight faded in the cold and foggy December evening, most of the working girls hurried home. Some had families to go back to while others went back to their respective working women hostels or PG accommodations.However, for the girl with sad eyes, excessive make-up and cheap perfume, the day was just beginning! She sat in her dingy room at Sonagachi, the infamous red light area of Kolkata and shuddered at the prospect of the long night stretching endlessly ahead of her. She had woken up with a headache that evening. She hated this life, the miserable existence which compelled her to walk the streets every night and peddle her body. Yes, the earnings were more than she could have ever hoped to earn with her impoverished background and minimal education. But the cost was enormous as well. Something in her had died a long time back. And that was hope, the will to live and enjoy life. A dark fear raised its hood in her heart, like the cobras she had seen in her childhood. She remembered the time when her father would take her and her brother to the annual fair near their village. She would peep at the snake charmers and their deadly wares from behind the reassuring bulk of her father, clutching her brother’s hand tightly all the time. She felt a pang when she remembered the cholera epidemic which had wiped away her entire family in one go, leaving her forlorn and vulnerable. Life had become a series of travails which had culminated in this lonely existence in her squalid room at Sonagachi. remembered. The ice-pick murderer! There was a psychopath out there in the city who had killed three persons over the last one month. No one knew who he was and why was he killing people? But it was a fact that a killer was lose in the streets of Kolkata and the police had no clue about his identity. The newspapers and the local TV channels were screaming themselves hoarse, all kinds of rumors were floating around in the city and the ice-pick killer had acquired a larger than life image. She had a bad feeling about tonight, a kind of hollow feeling in the pit of her stomach. She was afraid to go out and walk the streets. The rational part of her mind scoffed at her vague undefined fears. She had been working the streets for over five years and had seen it all. From policemen to pimps, from drunkards to drug-addicts, from petty criminals to educated professionals; she had dealt with all and slept with most. What did she have to fear? “Come on girl, move. You have a living to make.” She told herself and forced herself to stir. She looked at herself. She was dressed in a red short top and jeans, her working clothes. She picked up her large red handbag, an essential part of her ensemble and moved out of her room. Most of the women who lived in Sonagachi plied their trade within the area but she found the area with its garish multi-storied brothels too suffocating. She preferred to move out of the confines of the infamous locality to walk the streets in the up-market areas of the city. Her beat extended from Esplanade to Sealdah railway station. Occasionally, she would move further down south to Park Street or the secluded Maidan near it. She has a good working relation with a large number of seedy hotels where she would take her clients. She did not like to venture beyond this known universe of hers and rarely took up offers where clients would insist on taking her to their place. It was already dark by the time she ventured out of her room. The lights were twinkling and beckoning in the various by-lanes of Sonagachi. The streets were comparatively empty with only a few pimps, prostitutes and people walking around. The action would pick up later and go on till the wee hours of the morning. She looked at the unfolding vista in distaste. She particularly hated the sight of overtly made up sari clad women looking out of barred windows and balconies, a sad commentary on their caged existence. She made her way to the small restaurant next door for her dinner. “Always eat before venturing out in the streets. You never know what the night has in store for you and when do you get your next meal.” A veteran whore had given her the counsel years back and over time she had come to realize the value of the advice. “What should I get you, didimoni?” The thirteen year old waiter was a favorite of hers and nearest to a kin in her lonely existence. “Get me a Muglai paratha and a Pepsi.” She was still feeling uneasy and decided to give herself a treat in the forlorn hope that it would make her feel better. A particularly repulsive man sidled up to her and said. “I see that you are about to move. I don’t know why a beautiful girl like you has to work so hard. Give me a chance. I will line up clients at your door. You won’t have to move a bit and I will also get something to feed my family with.” She was used to the wheedling of the pimps and ignored him completely, munching her meal in silence. The rebuffed man walked away, murmuring expletives under his breath. “Bloody whore. She thinks that she is a princess or something!” Years in the environment had given her a thick skin and she ignored him and his jibes. She finished her meal and retouched her lipstick using a small mirror she fished out of the red bag. She walked to Mahatma Gandhi metro station and caught the tube railway to Esplanade. She checked the dainty little wrist watch she was wearing as she walked out of the station. There was a hint of chill in the air and she shivered in her light top. “I should have worn a sweater!” She thought as she crossed the busy road at the zebra crossing. She decided to hang around for a little while near the traffic lights and wait for someone to approach her. “A bit like casting a line and waiting for a fish to bite!” She thought to herself. Her mind went back to her child-hood days when she and he brother would fish at the village pond with makeshift fishing rods. Sometimes, they would return home empty handed while at times a two hour stint would result in few palm-size fish which they would happily carry back home for their mother to cook. But today the fish did not seem to be biting. The busy metropolis buzzed with activity. Cars and bikes zipped across the road at breakneck speeds. The pedestrians wove their way amidst the constant traffic with impunity and the area throbbed and pulsed with life. She got a lot of curious stares and an occasional wolf-whistle but the only one to approach her and give her a smile was the familiar beat constable. She got tired of waiting and decided to move to a less crowded locality. She started walking toward Sealdah station. The character of the surroundings changed and became a bit seedier as she approached the flyover. A man who was riding past on a bike slowed down and gave her an interested stare. He then stopped, turned around and rode towards her. She smiled as he approached her. “The fish has taken the bait”, she thought. The man gave her a long look of appraisal and decided that she was available. “How much?” He asked. “One thousand for me and four hundred for hotel room. Or would you prefer to take me home?” “No, no! Hotel is okay.” The man was immediately defensive and she smiled inwards and thought, “He surely does not want to take me home to his wife." 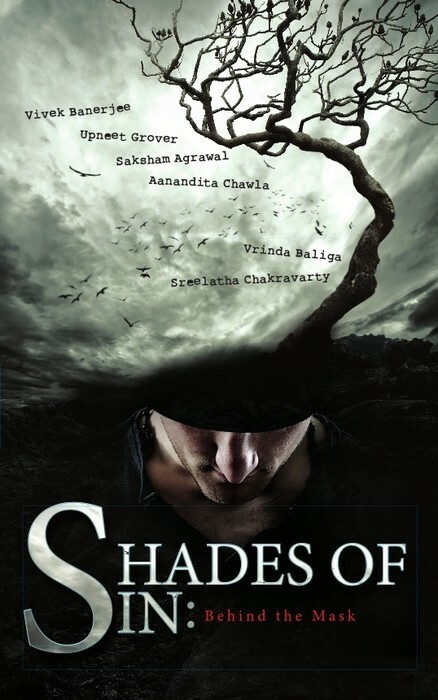 Read the rest of the story in Shades of Sin, an anthology of Short stories about presence of evil in human heart published by APK Publishers, Pune.